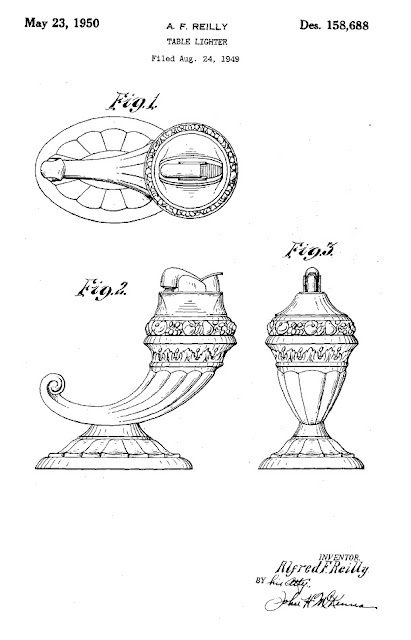 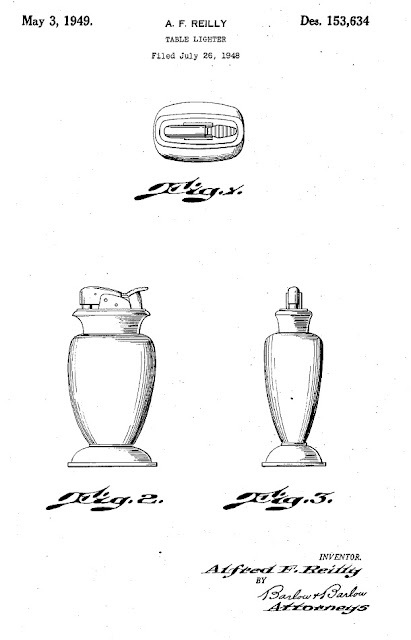 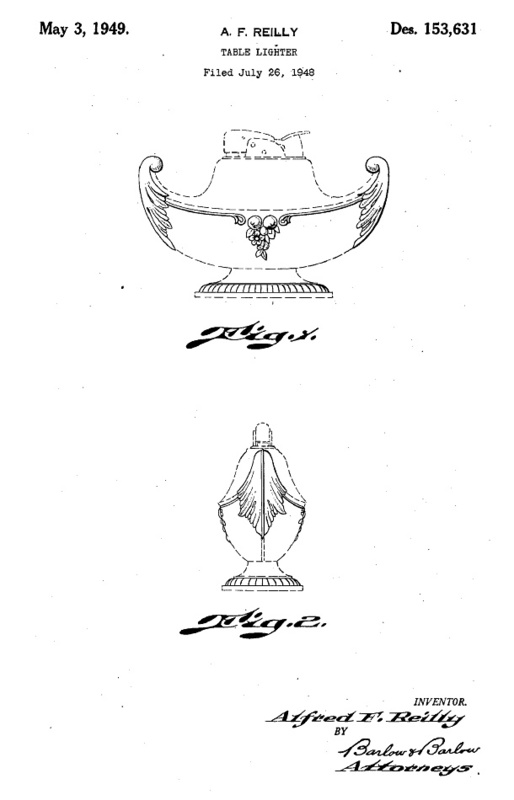 Below three interesting Evans Case Co. (North Attleboro, Massachusetts) US patents from the 1949 and 1950. 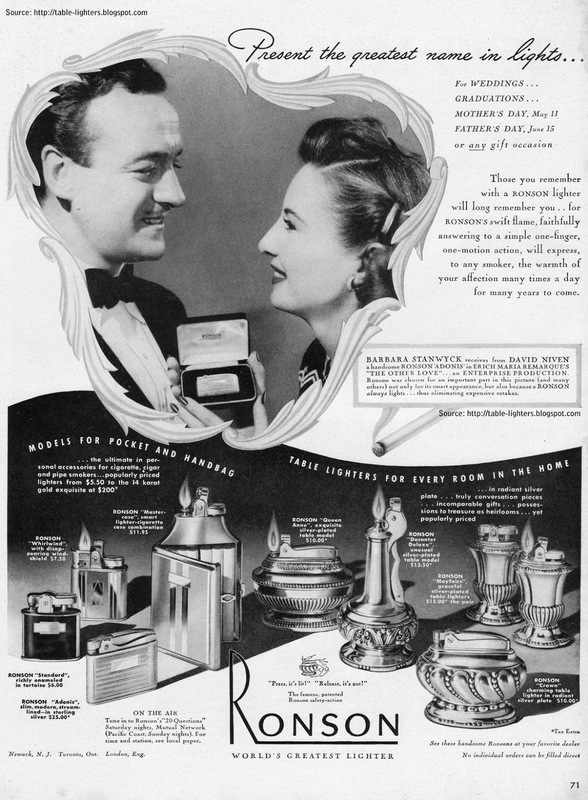 This black and white Ronson magazine advertisement was published in 1947 in the Life Magazine. It shows among others two bestsellers: Ronson "Crown" and "Queen Anne", pair of Ronson "Mayfairs" and Ronson "Decanter Deluxe".